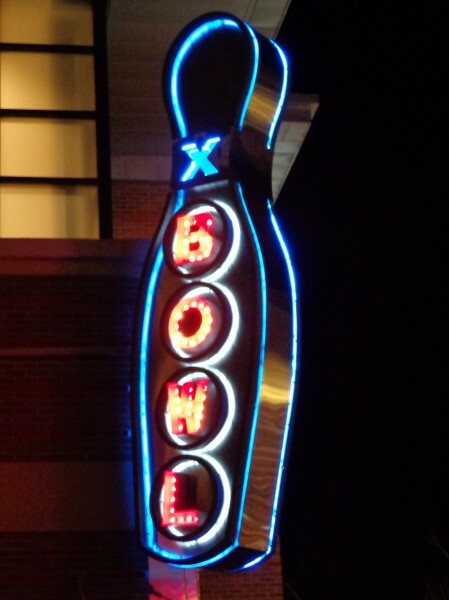 Free high resolution photo of a neon sign in the shape of a bowling pin. The sign reads Bowl, and is sticking out from the corner of a building. This picture was taken at night so you can see the blue outline of the sign and the red letters spelling out the world BOWL. Free picture for any use.